A new app-based car washing service has been launched in London which could transform the way car owners get their motors washed. 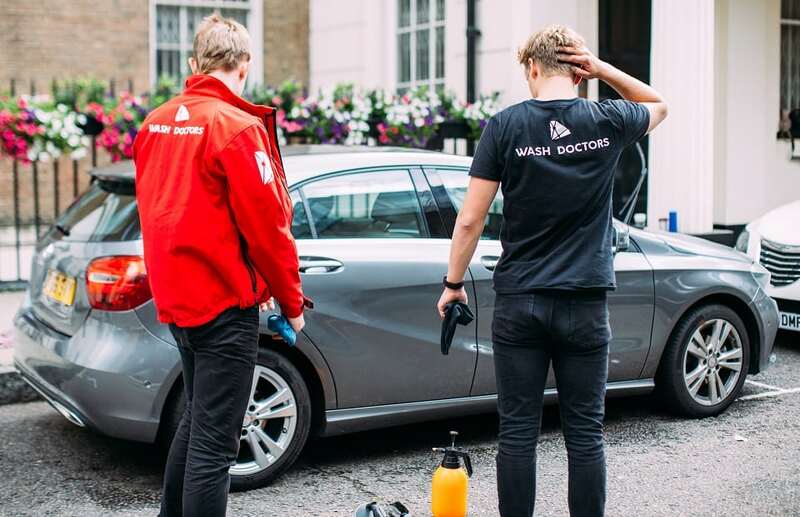 WashDoctors offer an on-demand service which marries local workers to parked cars in need of a good scrubbing. Founded on the principle of saving time, car owners don’t even need to be there when their car is being serviced – they simply pinpoint the car’s location on a map and are free to get on with their day in the knowledge that their car will be clean and shiny when they return. WashDoctors Founder and CEO William Mapstone, says: “These days people want things done for them. And why not? Technology is making anything possible now. “Car washing doesn’t need to be something you do on the weekend any more – it can be something you book from the office at work or from your holiday so your car’s clean to come back to. Our goal is to give people more free time. “We want to give people one less chore, more free time and an incredibly clean car. But more than just convenience, the cleaners use an eco-friendly, high-quality alternative to your usual car wash. Traditional car washing requires huge amounts of water and produces toxic run-off into drains, whereas the WashDoctors process is 100 per cent environmentally friendly. Utilising an advanced, rinse-less formula, they require only 1 litre of water per wash. This compares to 200 litres used by an average machine car wash and over 500 litres used washing a car in the driveway. This could save over 630 million litres of water per year for every machine car wash, based on the average number of cars washed – equivalent to 300 olympic sized swimming pools or the amount of water required to run 5,000 homes. 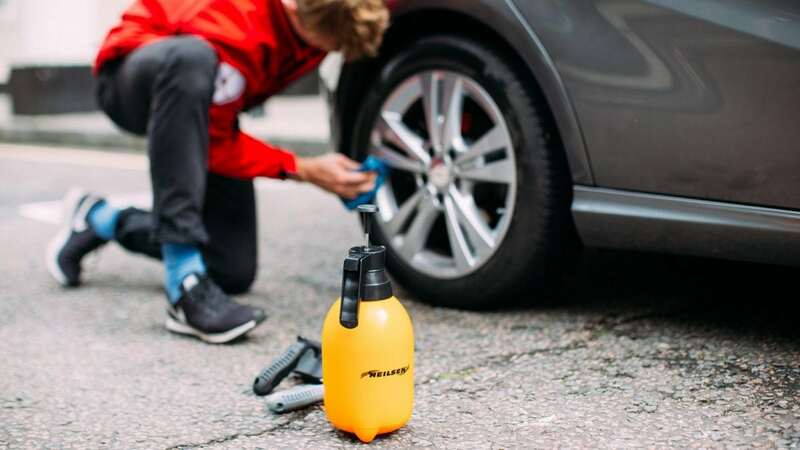 Mapstone adds: “People are largely unaware of the damaging effect on the environment a traditional car wash has – especially in the UK where water scarcity is not so obvious. It is our mission to change this. The WashDoctors array of formulas offer a complete wash and detailing service, without the risk of scratching the paint. The strength of the rinse-less wash lifts and emulsifies dirt away from the surface of the vehicle making it easy and safe to remove, ensuring the user’s car is restored to it’s former glory, whilst the wax and protect creates that beautiful long-lasting shine. 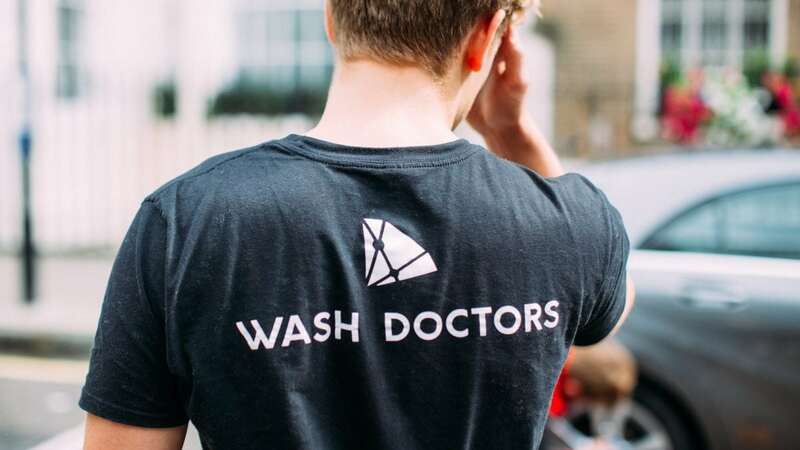 The light weight formula has also allowed WashDoctors to introduce great flexibility and a far more competitive pricing structure for its users than pre-existing van-based mobile detailing services. The washers pack all their equipment into Deliveroo-style bags and travel between cars by bicycle, thus reducing costs. With WashDoctors, car owners can enjoy reasonably priced on-demand services, previously only available to the high end luxury market.